I only have one good picture of it. What you're looking at is A-England Perceval (swatches coming soon!) 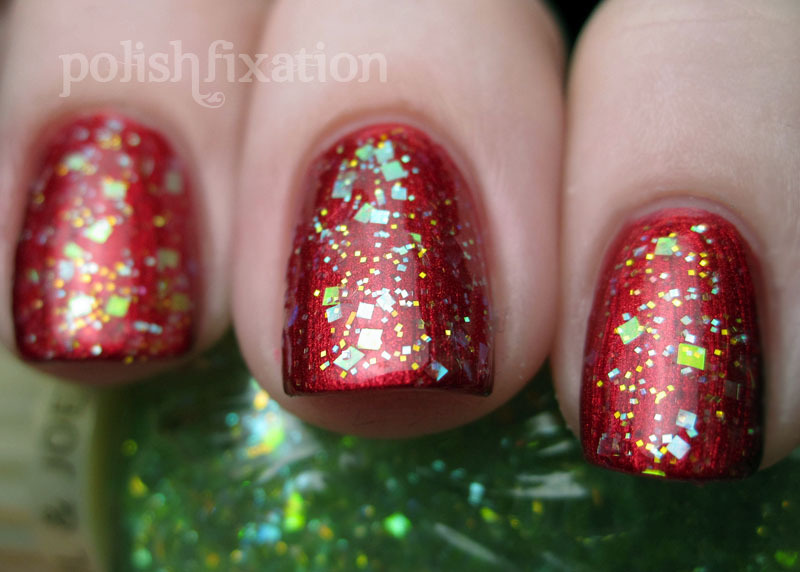 and a coat of this awesome Paul & Joe glitter called Hallelujah. This glitter is so unique and pretty. I wish I had gotten better pictures of it. I will have to test it over many other colors. I especially love the square glitter in the mix. 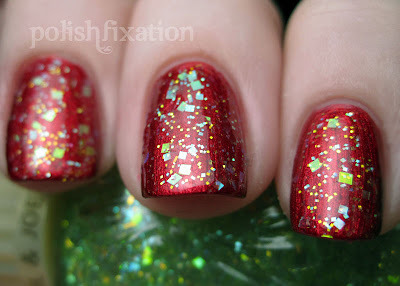 I am tired of seeing red and green but to look at a pretty glitter like that I will make this exception. What do you think? Have you tried the Paul & Joe polishes? I really like it over the red! Pretty.I never tried any of those polish. Love this combo!!! Never heard of Paul & Joe. I'll have to look into it ;0). Thanks for sharing. wow! This polish/photo is awesome.